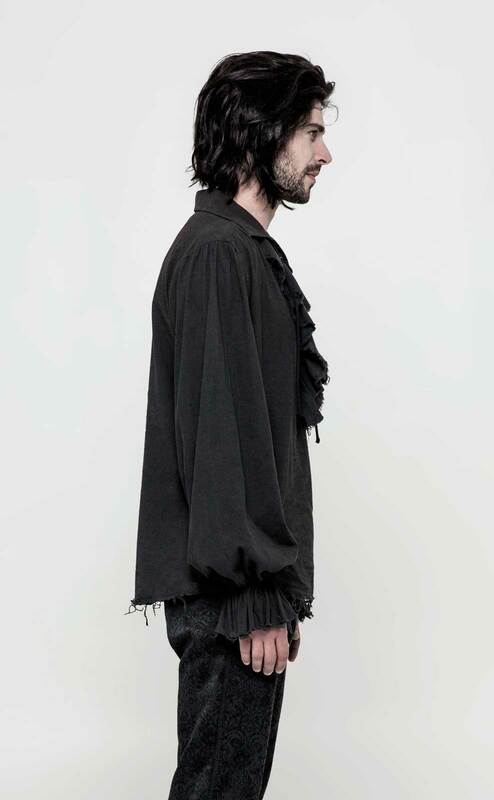 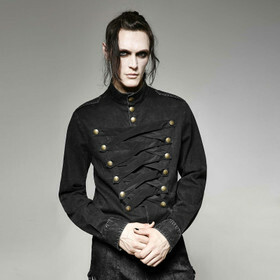 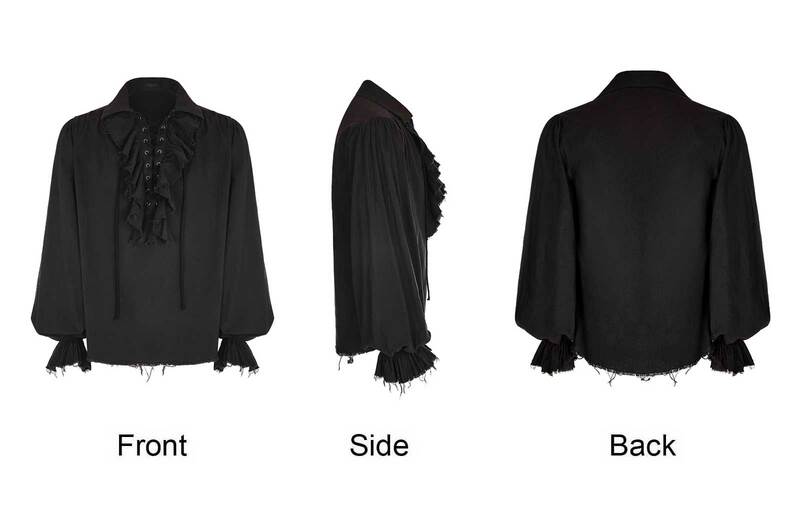 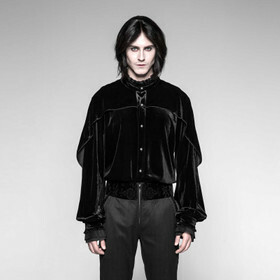 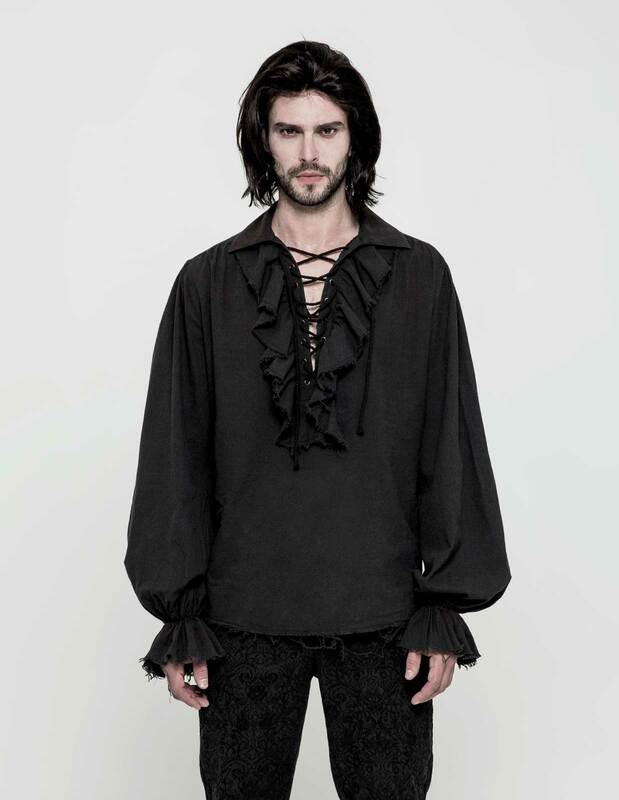 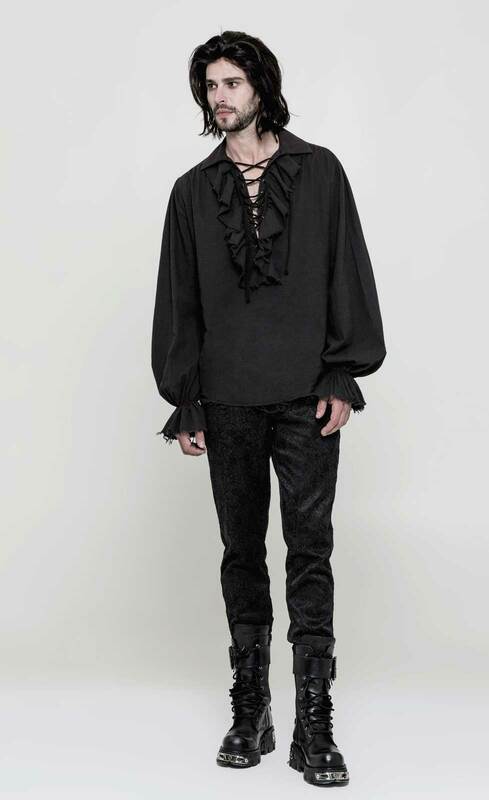 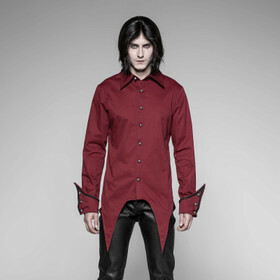 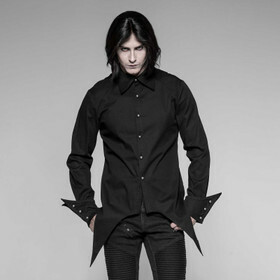 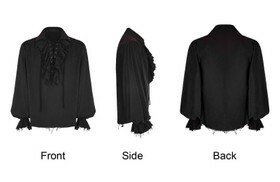 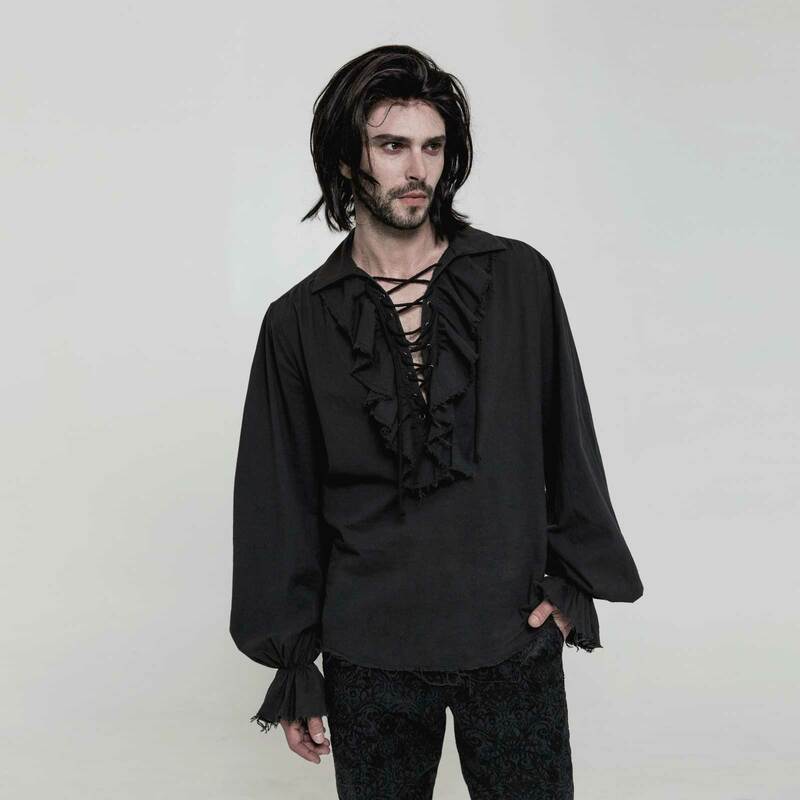 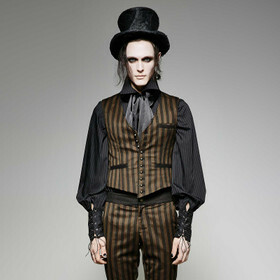 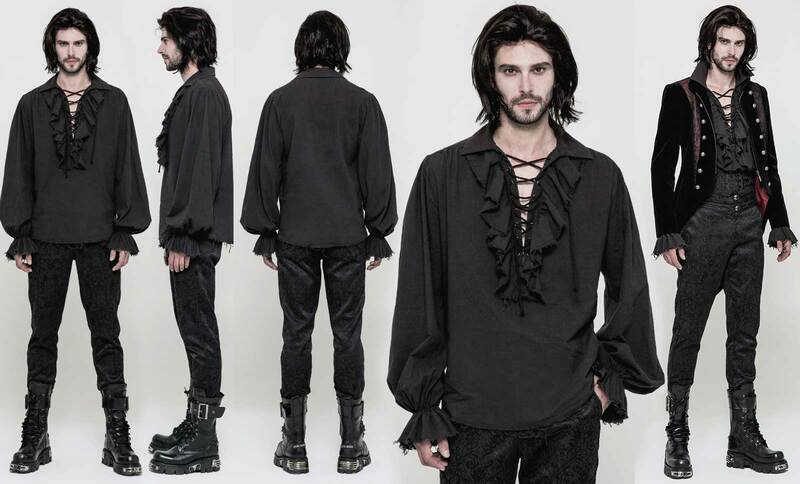 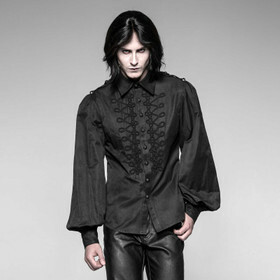 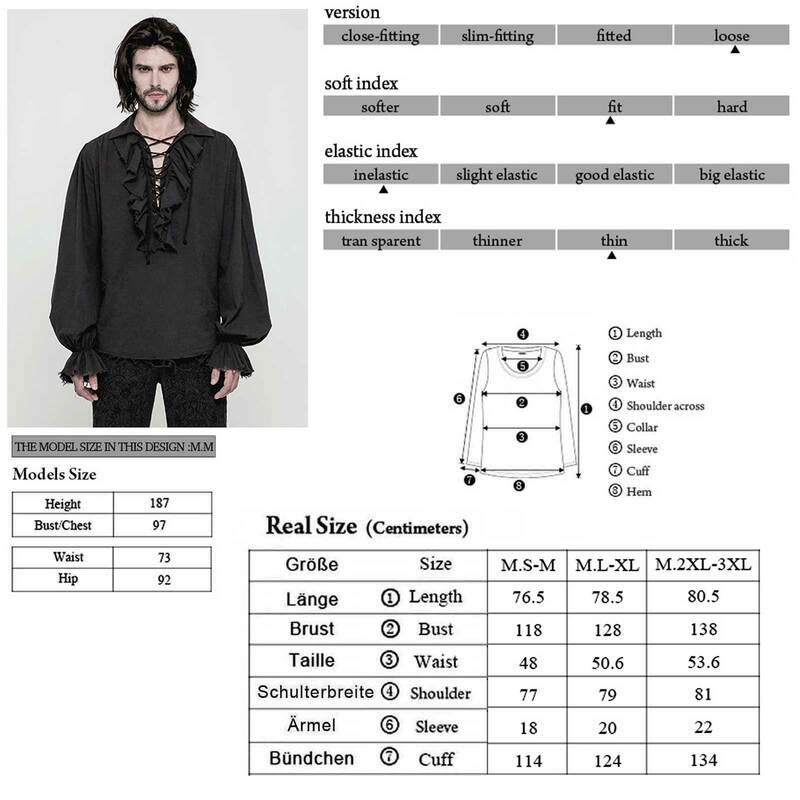 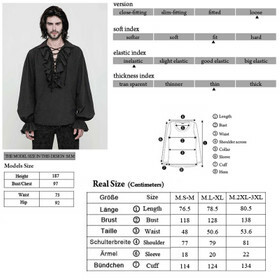 Classic gothic medieval style ruffle shirt for men by Punk Rave. 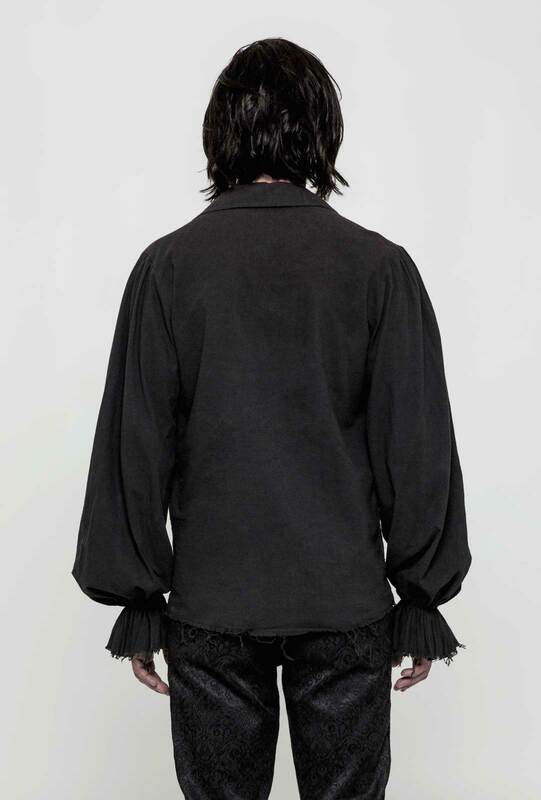 "Raw cut" - unseamed/ frayed edges. 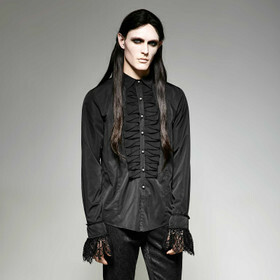 Shirt collar, laced neckline, ruffles, wide long sleeves and elastic cuffs. 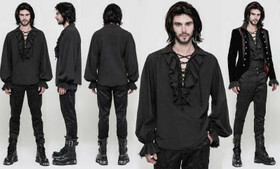 Classic gothic medieval style ruffle shirt for men by Punk Rave. "Raw cut" - linen-like fabric with unseamed/ frayed edges. 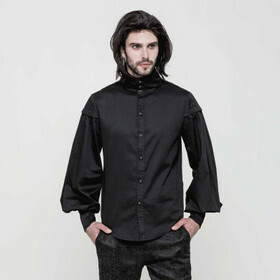 Shirt collar, laced neckline with ruffles, wide long sleeves and elastic cuffs. 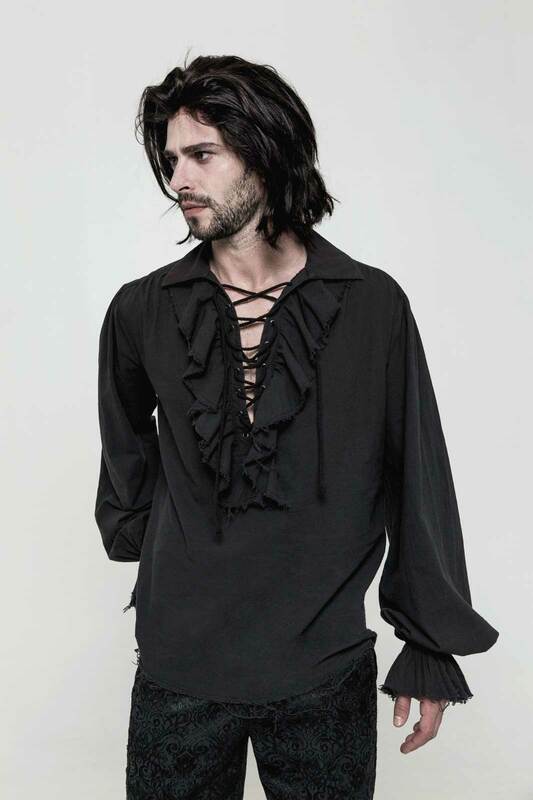 Turns out wide - and is to be worn just this way.